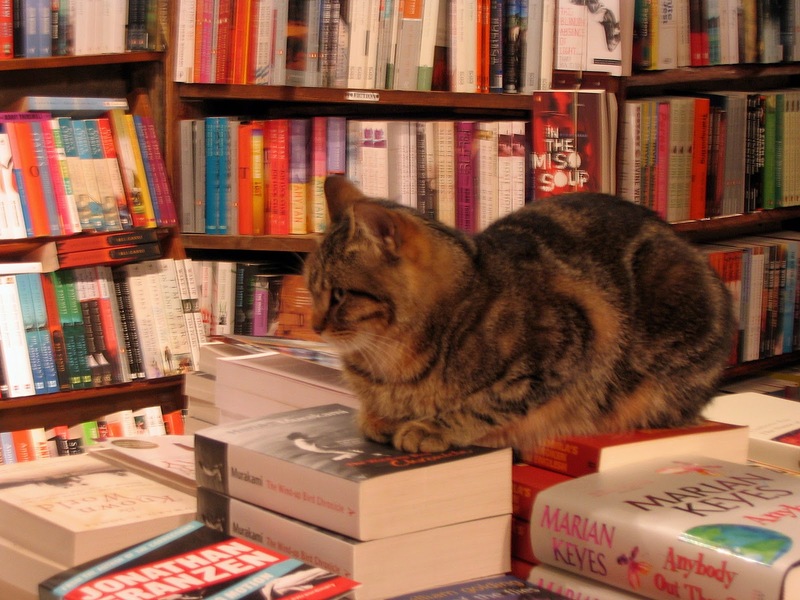 Sad news for Paris and book lovers today. On Wednesday 14th December, 2011, George Whitman died peacefully at home in the apartment above his bookshop, Shakespeare and Company, in Paris. George suffered a stroke two months ago, but showed incredible strength and determination up to the end, continuing to read every day in the company of his daughter, Sylvia, his friends and his cat and dog. He died two days after his 98th... birthday. After a life entirely dedicated to books, authors and readers, George will be sorely missed by all his loved ones and by bibliophiles around the world who have read, written and stayed in his bookshop for over 60 years. Nicknamed the Don Quixote of the Latin Quarter, George will be remembered for his free spirit, his eccentricity and his generosity — all three summarised in the Yeats verses written on the walls of his open, much-visited library : ‘‘Be not inhospitable to strangers / Lest they be angels in disguise. With sincere sympathy to Sylvia Beach Whitman (daughter), I am repeating this post from July, 2010 about Shakespeare and Co. I'll still be visiting, and hopefully the shop will remain the treasure it is for a long long time to come. One of our favourite book shops in Paris is Shakespeare and Company, on the Left Bank, a few minutes walk from Notre Dame. It is an oasis where you can recharge your batteries while browsing through great literature. The original Shakespeare and Company was started by Sylvia Beach in 1919 on 8 rue Dupuytren in the 6th arrondissement. After two years, the location was not large enough so the shop relocated to 12 rue de l'Odeon where it remained until 1941, closing due to the German occupation. Among the "Lost Generation" who frequented the shop were Gertrude Stein, Ernest Hemingway, Ezra Pound, James Joyce and F. Scott Fitzgerald. It was Sylvia Beach who published Ulysses for Joyce (with great difficulties). George Whitman opened his bookshop at 37 Rue de la Bûcherie in 1951 under the name "Le Mistral". The name was changed to Shakespeare and Company after the death of Sylvia Beach. A well worn step in the shop. Shakespeare and Company is filled with history and romance. It is the meeting place for both new and established poets and authors. With poetry readings and literary gatherings, it has maintained, I'm sure, the spirit of the original shop. 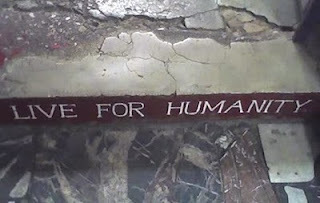 Inside the store you will see the words "Be not inhospitable to strangers lest they be angels in disguise". This is taken quite literally as the book store often houses talented new writers in exchange for doing chores around the shop. (Some of the beds are among the bookshelves)! Written on one of the steps is "Live for Humanity" - all this giving us a glimpse of George Whitman's philosophy. Time Was Soft There. A Paris Sojourn at Shakespeare and Company by Jeremy Mercer. There is a wishing well in the middle of the store and I always wish for the same thing. So far I've been lucky and have returned many times to pick up a favorite book. My favorite bookstore! I haven't been there in years. You certainly whetted my appetite to go back. Thanks Susan!